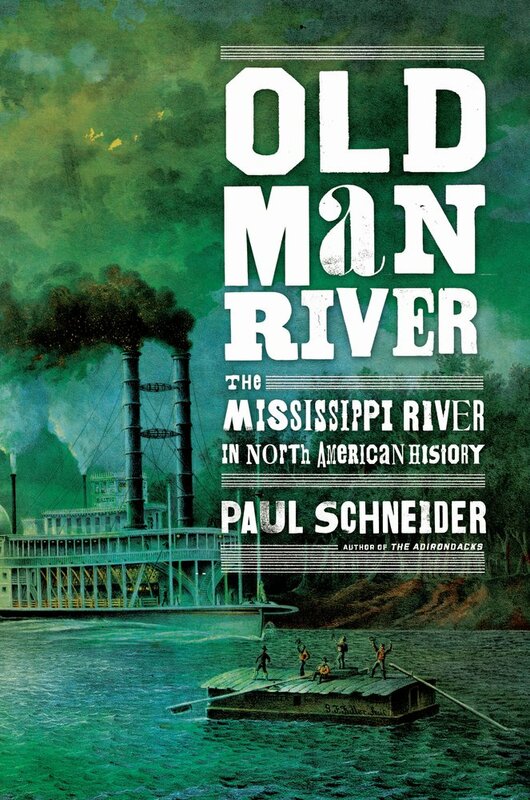 In Old Man River, Paul Schneider tells the story of the river at the center of America’s rich history—the Mississippi. Some fifteen thousand years ago, the majestic river provided Paleolithic humans with the routes by which early man began to explore the continent’s interior. Since then, the river has been the site of historical significance, from the arrival of Spanish and French explorers in the 16th century to the Civil War. George Washington fought his first battle near the river, and Ulysses S. Grant and William T. Sherman both came to President Lincoln’s attention after their spectacular victories on the lower Mississippi. In the 19th century, home-grown folk heroes such as Daniel Boone and the half-alligator, half-horse, Mike Fink, were creatures of the river. Mark Twain and Herman Melville led their characters down its stream in The Adventures of Huckleberry Finn and The Confidence-Man. A conduit of real-life American prowess, the Mississippi is also a river of stories and myth. Schneider traces the history of the Mississippi from its origins in the deep geologic past to the present. Though the busiest waterway on the planet today, the Mississippi remains a paradox—a devastated product of American ingenuity, and a magnificent natural wonder. In “Old Man River,” Paul Schneider takes us on an epic journey of his own that encompasses the furthest reaches of the Mississippi watershed, from remote geological prehistory down to the re-engineering of the river by modern planners and politicians. Along the way, we encounter Stone Age mammoth hunters, mound-building Indians, explorers such as Hernando de Soto, Robert de LaSalle and Zebulon Pike, and a collection of riverine bandits, hustlers, loggers, antebellum slaves, bone hunters and archaeologists. Mr. Schneider is equally observant of the workaday river—the giant barges loaded with grain and gravel, the dams and other man-made obstructions that have altered its character, and the heavy industry that in places crowds its banks. Given that the book is short and the scope vast, the journey is a whirlwind, akin to a visit to eight major European cities in fifteen days. But Schneider chooses his stops well. I wasn’t eager to cover ground water I’d already been over with Mark Twain, or get a recap of the Civil War. Fortunately, I didn’t have to. Instead, I learned a lot about Native American civilization (the coverage of the Indian mounds is superb), the French explorers, and the siege of Vicksburg. Nor did I want to re-read the story John McPhee already told so well in his classic The Control of Nature. Schneider knows there’s no point trying to outdo McPhee, so he moves on quickly. Regarding Indian mounds, Schneider’s recounting of his stop at Effigy Mounds National Monument in Iowa is superb. He becomes entranced as he walks amid the giant bears. When I moved on to the second beast in the row, though, I unconsciously slowed down and became, as a result, more conscious. The path turned sharply left, then right, then right again, then left as I walked around first one bear leg, then another. Then along the long belly of the beast. When I completed my circuit of the third mound, for some reason I didn’t move on but began again down the same great neck to the grass-furry paw. I walked myself into a trance. I don’t currently practice any circumambulation regularly, other than taking two trips around every new rental car to make sure there are no dings or dents before leaving the parking lot. Truth is I don’t take part in much organized ceremonialism of any sort, thank God. Whether this makes a person more or less vulnerable to surprise attacks from global bear spirits, I have no way of knowing, but I do know that on my fifth trip around the third bear, what hair there is on the back of my neck stood up and would not stand back down. Effigy Mounds National Monument is now on my list of places to visit. As are so many of Schneider’s stops.